Initial Reaction of Book in One Word: Eh. What I expected from Miss Peregrine's Home For Peculiar Children was something, well, peculiar. And while there was some peculiarity, the book fell short. 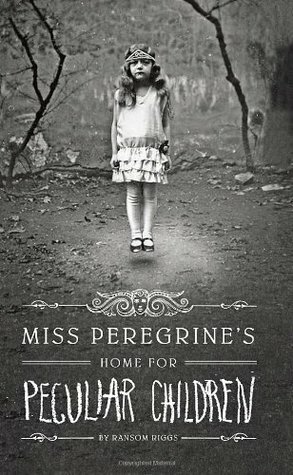 I mean, we don't even get to meet what's in the title--Miss Peregrine, her home, and the peculiar children--until, spoiler alert, well over a hundred pages into the book. I can't really think of any glaring issues with this book. It just lacked a wow factor. After finishing it, I didn't feel much of anything toward it--and I still don't. The writing didn't bother me; in fact, it was pretty darn good, and I'd read more from Ransom Riggs (including this book's sequel Hollow City). I don't think the pace was slow--I think it was the buildup. You know, based on the title and synopsis, that there's some house full of peculiar children. So until that house shows up in the book, you're waiting. And waiting. And waiting. And then once you get there, it's not what you thought it'd be. Sure, we get to meet lots of the peculiar children and see their photos (some of which slightly freaked out when I was reading this, at night, when everyone else was sleeping). But there wasn't enough about them, and that's what I wanted. And something I did get but wasn't expecting? Time travel. In case you haven't read this book I don't want to say too much and spoil it for you, but time travel plays a part in this book. (Who knew, right?) Don't ask me how it works, because I don't know. (Those parts in the book were pretty much lost on me.) It was just one more thing that made this book something I didn't think it was going to be, and I've gotta say, I'm kind of disappointed. I was hoping to be SERIOUSLY creeped out by Miss Peregrine's Home For Peculiar Children, and for the majority of the book, I totally wasn't. In the end, I think the real peculiarness of Miss Peregrine's Home For Peculiar Children is the photos sprinkled throughout the book, not the story itself. It'll be really interesting to see how it's translated into a movie, especially since TIM FREAKING BURTON is doing it. 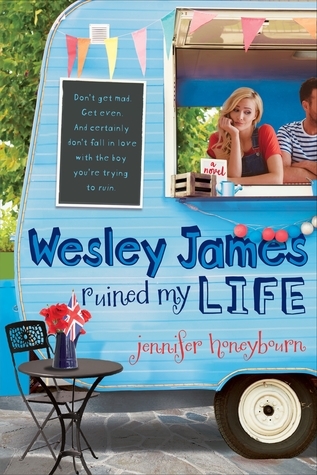 I know my review suggests otherwise, but this isn't a bad book. For me personally, it was just lackluster, and missing umph. Sure, sometimes I was into it, but sometimes I was reading it and not really absorbing it. (And the small font didn't help anything.) Hopefully, Hollow City redeems its predecessor, but we shall see! Would I purchase it? I already have it. Who would I recommend it to? With the photos intermixed in the story, this book has a little something different. There's also a bit of a creep factor. And if time travel interests you, check this out. I have the same reaction with this book. It is good but it lacks something or maybe I'm too excited to meet the peculiar children but they didn't have enough screen time in the book at all. I think that's why it fell short for me too. I had a very similar reaction. I was expecting something quite different from what I got. I do want to reread it, because I'm curious to see if my disappointed feeling was from (a)the fact that the plot actually was disappointing, or (b)simply because I was expecting something totally different. I did love the vintage photos, though. ;) I think that sold everyone on it.